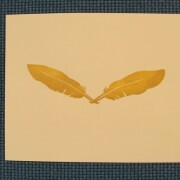 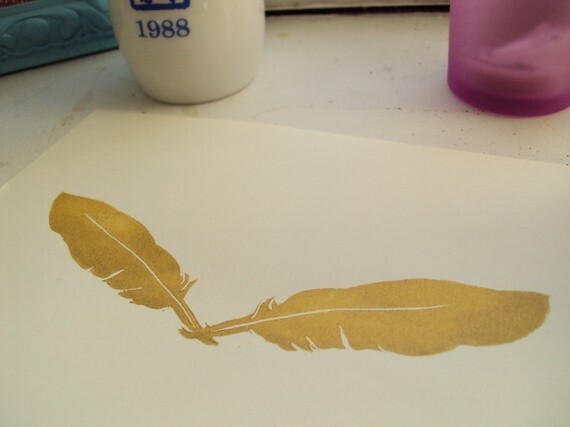 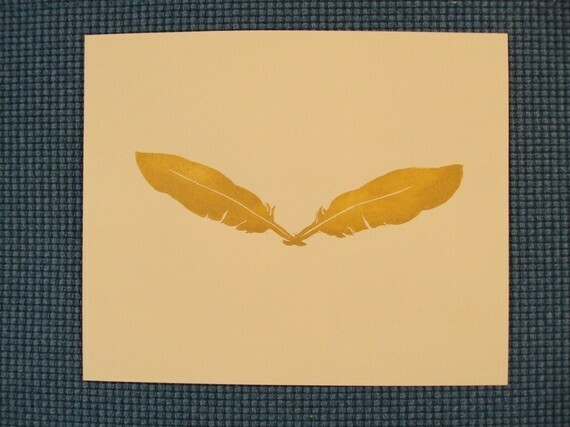 Decorate your space with this lovely print of two gold feathers! 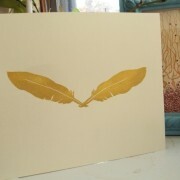 Each print features an original design of 2 feathers whose ends connect to form a sweet little X. 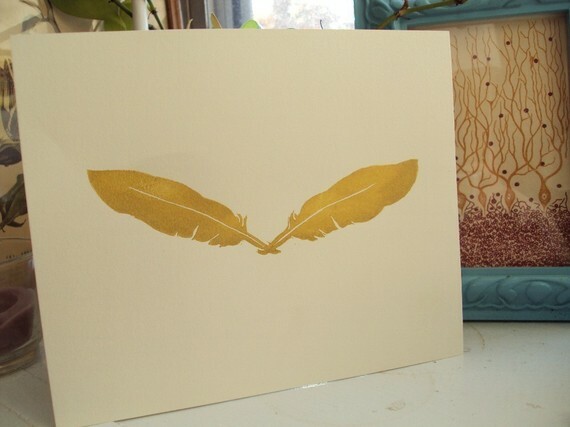 It is hand-printed from a linoleum block in a vibrant metallic gold on off-white artist-grade paper. 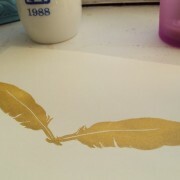 Print will be mailed in a flat protective mailer to ensure that it arrives in mint condition.